Over 100 boys from schools across Coventry, Solihull and Warwickshire will dance together inside Warwick Arts Centre and outside on the newly built plazas. Boys Dancing is a hugely successful and long-running Warwick Arts Centre Education project and this performance is the result of two months of choreography workshops and dance rehearsals involving 9 schools across Coventry, Solihull and Warwickshire. Professional male dance artists have led these workshops with boys and young men – most of whom have never danced before – to devise the show. 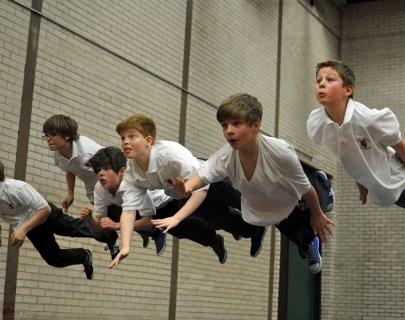 For many of the boys this will be a once-in-a-lifetime opportunity to perform one of the country’s biggest Arts Centres.